Jim and I figured it had something to do with an annual tradition with the local high school. I thought it was probably a Class Reunion activity each year. 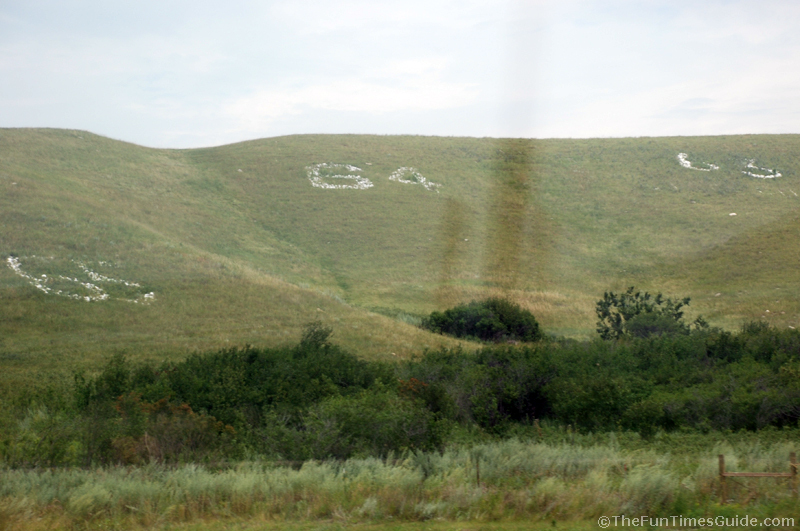 Each year, graduating high school seniors write their class year in rocks on hillsides along Highway 52 near Kenmare (pop. 1,081). The cherished roadside tradition began in 1945. 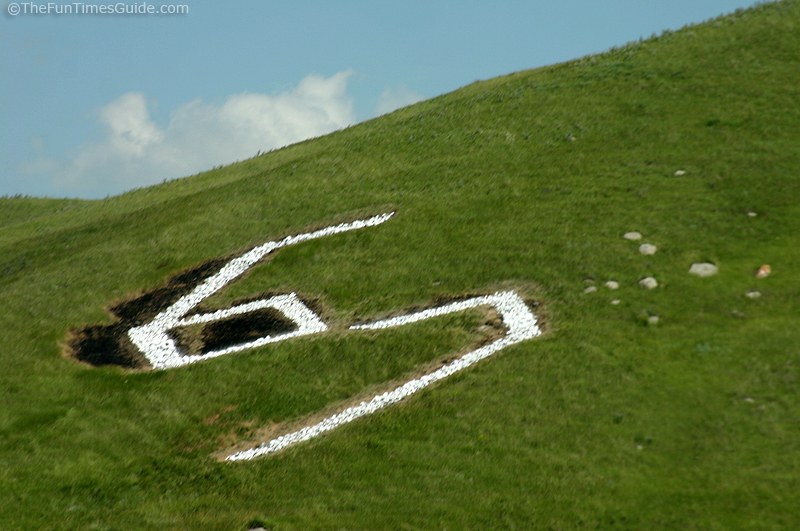 It’s really cool… when you’re driving along and all of a sudden you see how precisely perfect all those class years appear in the form of rocks on the hillsides of Kenmare, North Dakota. If you’re looking for them on your next trip down Highway 52… you’ll find them about 30 minutes north of Minot, ND or 1 hour south of the Canada border crossing at Portal, ND. Most of the KHS class-year rock monuments have taken shape on the hillsides from 7 to 11 miles south of town along Highway 52. Each spring the seniors select a hill, gather with shovels, trucks, and paint brushes, then get to work. An outline of their class year is staked out. Then the sod is dug out and hauling in of field stones begins. When the trenches have been completely filled with rocks, the project is finished off with a coat of whitewash or paint. Farmers in the area who were only too happy to donate large stones for the project. For many years, Rock Day was an organized school event for seniors just before graduation. All but a few of the graduating classes of Kenmare High School have left their mark for posterity on the hillsides… The KHS classes of 2003 and 2004 have not completed their class rock. Years pass, but the numbers remain highly visible as the classes apply a fresh coat of paint during their reunions. The first KHS rocks took shape in 1945. The students’ rock graffiti on the hillsides was initially conceived as a diversion from less desirable graffiti painted on buildings and other structures around town. Here’s another great tribute to “Rock Day” at Kenmare High School. Yep… Kenmare, North Dakota ROCKS, too!